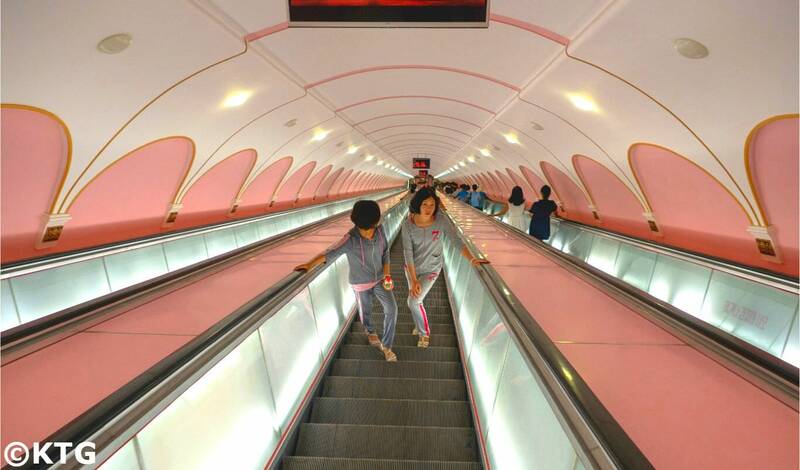 The Pyongyang Metro can boast having some of the most impressive underground stations in the world. Enormous mosaic walls portraying national achievements, chandeliers, tunnels going down on an average of 100 metres (indeed, some tunnels go even deeper down) and interior wooden decorated dim lit wagons with portraits of the Leaders Kim Il Sung and Kim Jong Il, will all more than likely make taking the underground in Pyongyang somewhat different to what one may be used to. 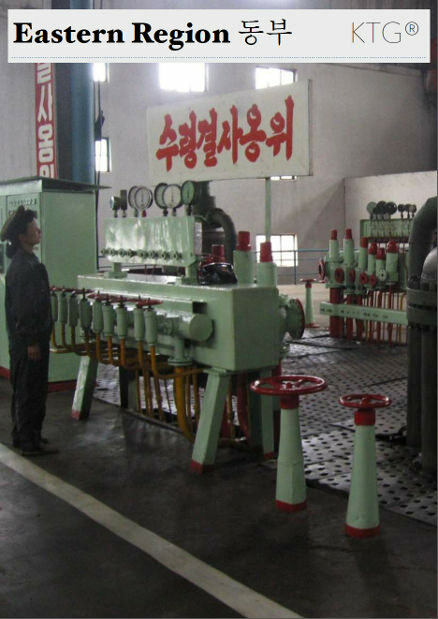 The North Korean capital's metro consists of two lines; The Chollima Line which goes from north to south and the Hyoksin Line which goes from east to west. 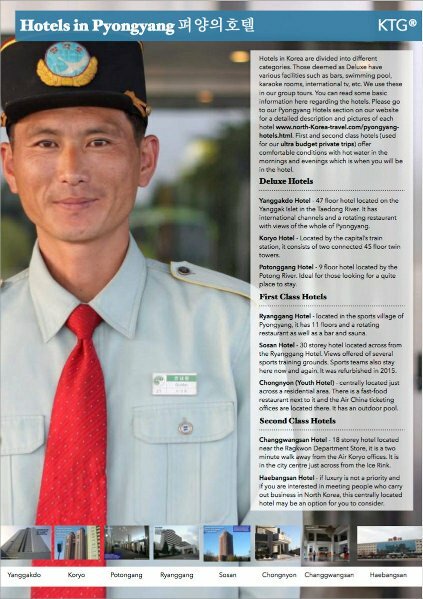 We have been arranging extended Pyongyang Metro rides for a few years now. It is possible for us to arrange an extensive metro ride including all stops of both lines for any subway enthusiast but for our group tours our rides will include 5 to 6 stops. Interesting: when taking the metro see if you can spot former East Germany graffiti on some of the carriages’ windows! 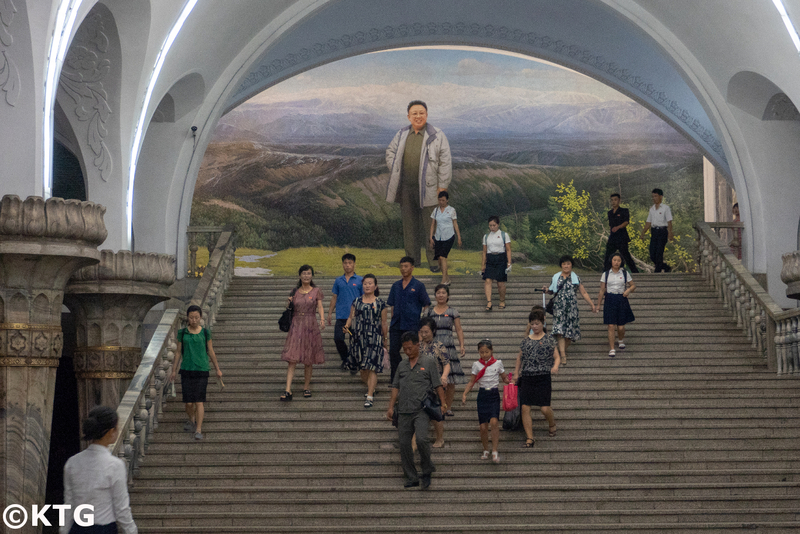 Myths: we have been asked by many travellers over the years if the Pyongyang Metro was a show with only two stops, with the people seen there being actors, etc. 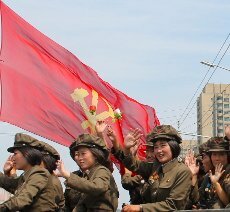 Luckily our partners in Pyongyang have allowed us offer extended subway rides these past few years and this has helped us prove that such conspiracy theories are not true. We do recall however, and much to our awe, reputable Western media channels suggesting such theories! 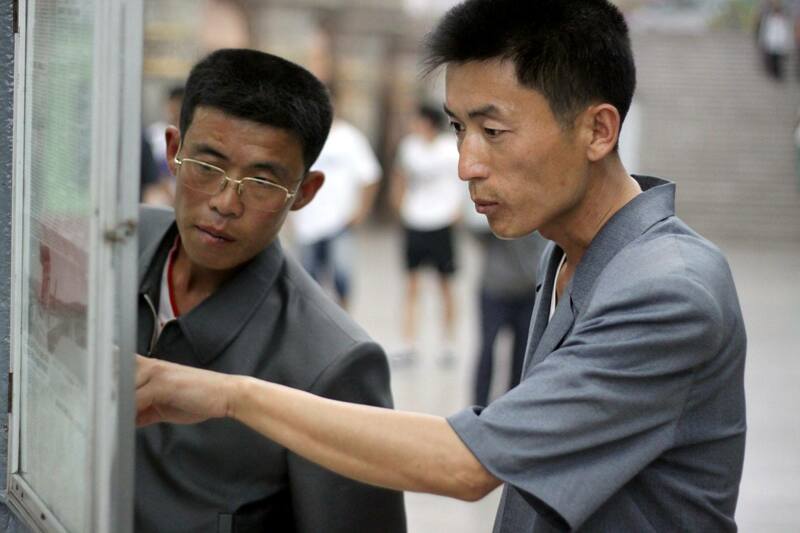 The visit to the metro line gives visitors a chance to see and to some extent interact with local people getting along with their daily lives in the North Korean capital. 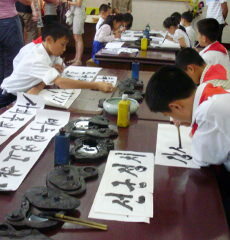 You will also be likely to obtain some curious looks from the people you encounter, especially children and teenagers. Please note that our groups sizes are small and this allows for greater interaction with locals compared with large groups of 20 or 30 people. 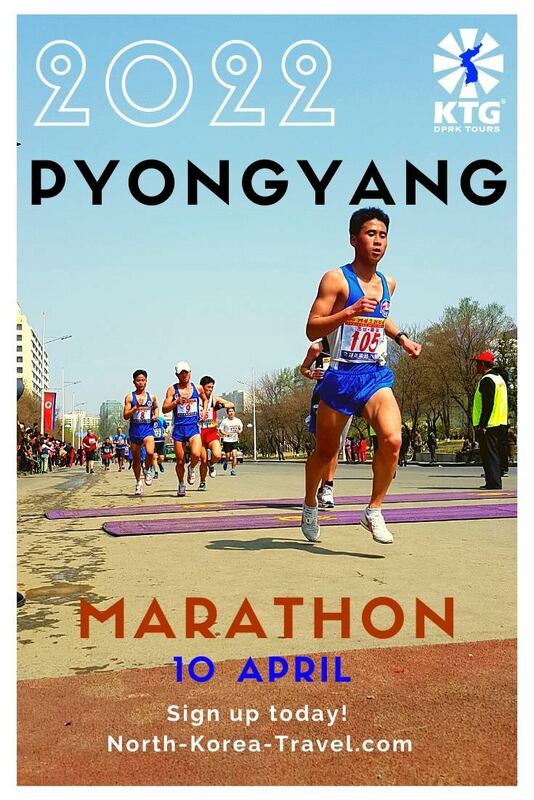 Interesting II: able to read Korean? Then why not read the local newspaper on the station platform which has its pages framed at different posts so that locals can read the latest updates. 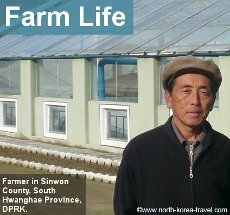 Please click on our North Korea Tours to see what other places you will be able to visit in North Korea other than the Pyongyang Metro.